Is A PBX System Right For Panama City Businesses? When you’re running a business, as much as 18.4% of your day can be spent on communications alone. 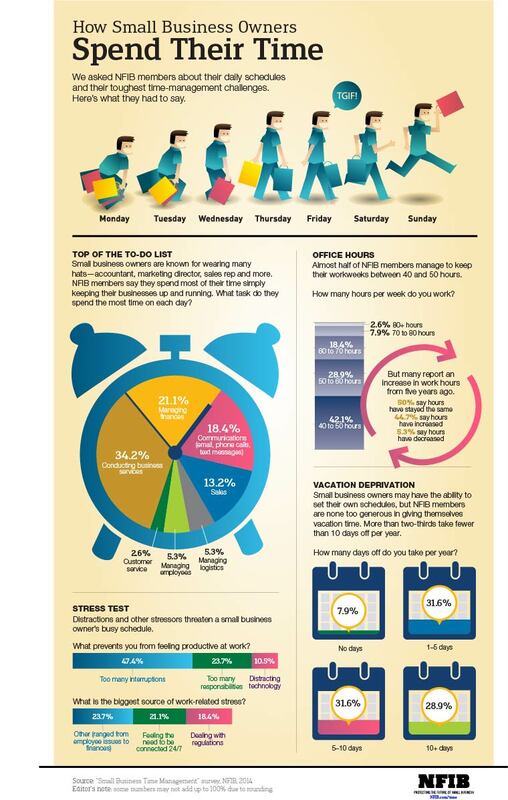 Meanwhile, customer service and managing your employees only get 8% of your time–combined. Wouldn’t it be nice if you could shift that ratio a bit? Simply changing your telephone system may be the key. Modern PBX systems are rising in popularity among businesses for a number of reasons, including low costs and the variety of services available. In fact, small businesses that switch from traditional telecoms can save up to 45% a month. But does that mean it’s right for your business? When you think of office phone networks, you likely imagine PBX telephone systems without even realizing it. PBX stands for private branch exchange. It allows for your business to have multiple lines active at once and shows one common outgoing number for callbacks. In classic PBX systems, your communications are hardwired through traditional phone lines using a server that lives in your office. It’s up to you as the business owner to maintain the hardware, troubleshoot issues, and purchase additional lines. That’s why many modern PBX systems are hosted. A reliable, offsite server uses your high-speed internet connection to tackle all of your communication needs. Using Voice Over Internet Protocol (VoIP) technology, your phone calls, video conferences, and other files are instantaneously transformed into digital data. That data is then seamlessly transmitted over the internet to the receiver on the other end. Just like your computer connects you to a website, a hosted PBX system puts your business in touch with the world in an instant. 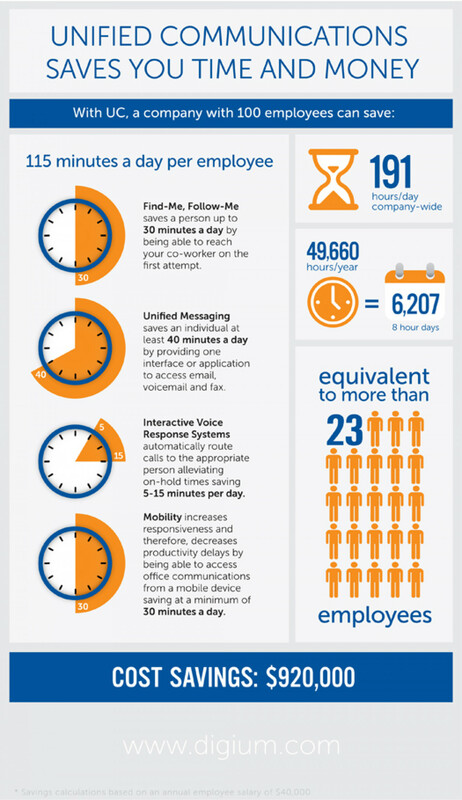 A company of 100 employees can save just shy of 50,000 hours a year by unifying its communications. So it’s no surprise that nearly 79% of American businesses use VoIP services at one location. With the low costs and limited maintenance, nearly any business that migrates to a PBX system will see the benefits. So what, specifically, can your business get out of a PBX telephone system? A quality PBX system is the ultimate automator. Like an operator on a switchboard, it directs calls to the next available agent or necessary department to suit your customers’ specific needs. And if no one can answer the call? The caller can leave a message as usual. But here’s the cool part. Because the service is web-based, your employees can access the message from their cell phones. Or even have it forwarded along as an email. Plus, rather than hiring a full IT staff to tackle upgrades and system maintenance, your provider handles the headaches for you. And if any issues do pop up, you can rest easy knowing you have a dedicated staff of experts keeping your communications up and running. Even after hours. Now you can use those sweet overtime savings on other investments. Just because your business is in Panama City, doesn’t mean you’re chained to your desk 24/7. There are a thousand reasons you may be out of the office, from sales outings to site surveys to a weeklong romp in the Keys. That’s why another key aspect of virtual PBX systems is the ability to access services and controls remotely. Because they’re compatible with mobile numbers and devices, you have total control of exactly how and when you access your communications. You can even configure the entire system from your computer. As a result, no matter where you or your staff are working, you can keep everyone on one platform and ensure seamless communication between teams. Especially when you consider that Dell saved $39.5 million and cut carbon pollution by using a united communication system that allows its staff to telecommute. Proving that clear communication makes your company greener. In more ways than one. One of the best parts of using an internet-based communication system is taking advantage of the data that comes with it. Analyzing VoIP information like location, date, time, and call duration can be great for discovering patterns in your business operations. And where there are patterns, there are decisions to be made. Tough staffing decisions like how many people should be on the phones and on what schedule become no-brainers when you’ve got the data to back them up. Using insights specific to your business ensures less wasted resources during “slow” periods and enough hands on deck during your historically busy times. Take your data one step further and you can even determine sales trends. Maybe you really do have the only customers in the world that like being called in the middle of dinner. If so, you can bet your calling data will show it. Numbers aren’t everything, though. User experience is important. While there are certain calling features that we take for granted as office standards (voicemail, call forwarding, call conferencing, and such), you might be surprised by the variety of useful perks PBX systems with VoIPs can provide. When people frequently call looking for the same information (like hours of operation or the soup of the day), the Auto Attendant feature can be a huge time saver. Also known as an Interactive Voice Response (IVR), Auto Attendant ensures calls are routed efficiently. You can customize your menu to quickly put your customers in touch with the options they care about, including the ability to instantly speak with a real person. Was that a “five” or “nine”? Ah, better play it again. Or not. Voicemail to email transcription does exactly what it sounds like. It converts voicemails to text and sends them along to your email. Now you can organize, delete, and search your voicemails as easily as you do your email. Maybe you’ll miss replying your messages a dozen times while frantically scribbling names, numbers, and addresses. When an employee is being trained in a live call scenario, it can be tough to just sit back and wait to provide tips or feedback. Now, you don’t have to. Barge and Whisper are two great training tools available on most VoIPs. With Barge, a manager can jump into an ongoing call to give a quick introduction or take control of a conversation that’s gone off track. Alternatively, Whisper offers a low-key way for a manager to live coach an employee “behind the scenes” while the customer is unaware. With so many features available, you can customize your package to make sure your business is getting the most out of your VoIP services. The only major drawback to PBX systems and VoIPs is the fact that they rely on your broadband speed. That means if there’s an internet outage in your area, it’s possible your phones may drop out too. Of course, system providers in Panama City know this. And the good ones have procedures in place to keep your phones ringing no matter what. Some companies will temporarily forward calls to mobile numbers until the internet kicks back on. Others have system redundancy features that come to life the moment an outage is detected. Consult with your would-be PBX system provider to outline their protocol for outages, and make sure their plan aligns with your needs. But keep in mind, it’s never a bad idea to build your own safety net. A stable and active internet connection is necessary to the success of your business. So why wait for things to go wrong to back it up? There are steps you can take on your own to keep your dial tone steady in the event of service interruptions. One of the best options is to have a backup Internet Service Provider (ISP) at the ready. While it may seem silly to pay for two service providers, this method ensures that your business never misses a beat if your connection goes awry. And it doesn’t just save your phones in a pinch. All other aspects of your business that require connectivity will immediately be back online too. Which is important when you consider that internet downtime can result in a 43% percent loss in productivity for small businesses, and that just an hour of downtime can cost a company over $1,000,000. So, yeah. A backup ISP might be a good idea (regardless of your phone situation). Whatever is missing in your communication workflow, it’s likely a virtual PBX system can help make it right. At the very least, switching will save you time and money, and unify your communications in the process. But if you’re still not quite sure whether a PBX system is right for your Panama City business, leave your questions in the comments below or contact us. VoiceOnyx is an excellent company to work with. I would highly recommend this company for telephone service.